Shoo (White)Fly, Don't Bother Me. he whitefly has come for a visit and as much as we welcome all living creatures into the garden, this little creature has overstayed its welcome. Whitefly, it's your time to skeedaddle. Whiteflies are what some may call a "pest". And they are! They love to nest in all the nooks and crannies of our beloved Kale. They're actually starting to nest in all of our brassicas! The cauliflower leaves have a silvery powder on them, the brocolli heads are spotted. It's not looking pretty. Whiteflies have this way of sucking the life out of your plant and they tend to gross the kids out when we're cooking. Bugs are definitely not in our recipes! In small doses, the whitefly isn't that detrimental to the plant but when they take over, they take over. The technical name for these pesky pests is Cabbage Whitefly, Aleyrodes Brassier. Pretty, no? These small white-winged insects live on the underside of leaves, and fly up in clouds when disturbed. Adult whiteflies are structurally similar in appearance to aphids, but are covered in mealy grey hairs and have white wings. 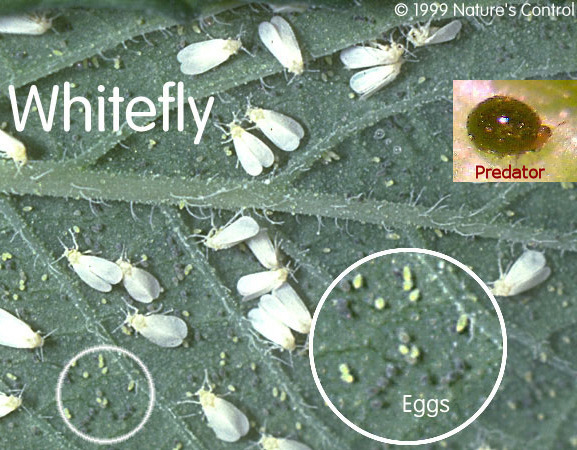 The young whitefly, known as 'scales', stay on the leaves. The flies themselves don't cause severe damage, but the sticky honeydew or sugary excretions they produce can disfigure the plants. This is not so much to do with the honeydew itself but the sooty or black molds which grow on the honeydew. The sooty molds will spoil flower buds, e.g. on Brussels sprouts, and will prevent leaves from photosynthesizing. We certainly don't want that, do we? Don't fret, we're fighting this battle and doing it au natural (aka: the natural way!) Say goodbye to the fly! We've come up with a little solution and a riddle! What do vampires and whiteflies have in common? Yeah, you got it. Garlic!! They despise garlic. It's like the relationship Superman has with Kryptonite. When they get together, it's not a pretty sight. But sometimes, that's how it has to be. Do we want whiteflies to be enjoying our kale or do we want the kids at 24th Street Elementary enjoying it? Enough said, right? We've been testing our simple recipe out and are looking forward to the results. Beautiful, whitefly free kale! Try it yourself and see how it goes. Chop up garlic and green onions. Strain into a spray bottle. Spritz your plants, don't forget the underside of the leaves! Prepare to smell for the rest of the day. Would society garlic work instead of real garlic. We have plenty of that ( like garlic chives) in the garden? 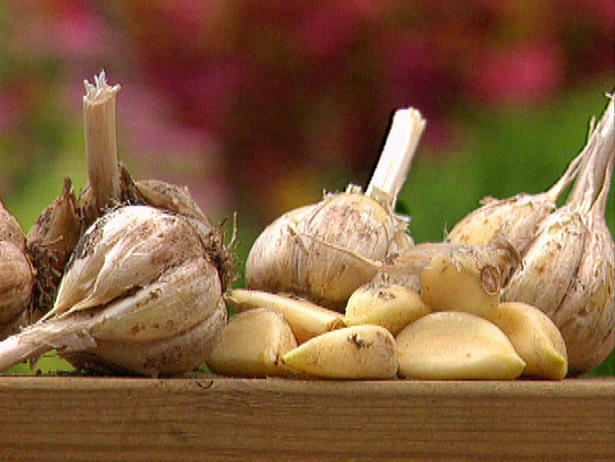 Also does planting garlic or green onions near by drive them away ( companion plants) or does it have to be applied to the plant? Is there something else I can use besides green onion; I’m extremely allergic to them. Thanks for the this blog! Alright we’re gonna try it on our Ficus, Kale and Collards. Cross your fingers and we’ll let you know how it turns out.